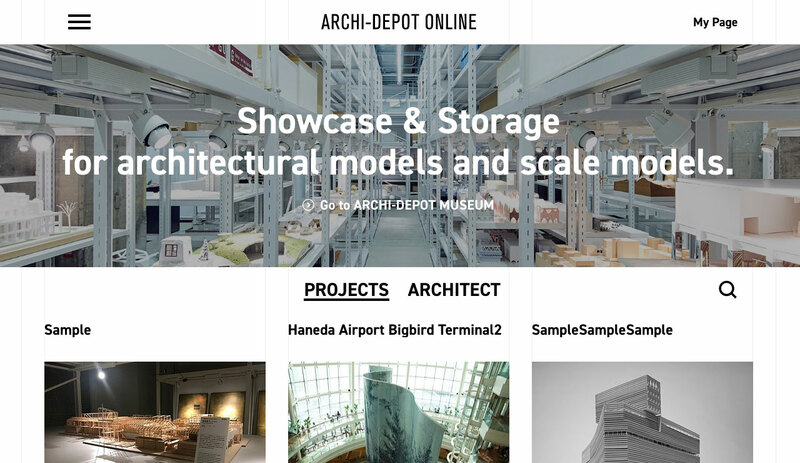 ARCHI-DEPOT ONLINE is the world’s first online service offerering storage functions in addition to viewing features for the purpose of introducing the culture of architecture and the up-and-coming architects to the world. ARCHI-DEPOT ONLINE’s online service provides storage at a cost of ¥500/month for 1 physical unit space (100cm x 100cm x 45cm) along with an easy-setup portfolio website. Users will also have the opportunities to have their projects exhibited at the ARCHI-DEPOT MUSEUM. We will henceforth continue to extend our services to establish a platform for the architectural culture.